Crystals are great good luck enhancers for many feng shui applications. You can use either raw, polished, or carved crystals. Crystals are priced very cheap to very expensive depending on size and shape. Choose from a single crystal, cluster, crystal points, geode, or carved shape. Alexandrite captivates with colors of green/blue to red/purple that change in the light. This cherished crystal was named after Russia's Czar Alexander II and discovered in 1830 (Russia). This rare and expensive find quickly became a symbol of aristocracy until the 1980s when Alexandrite was discovered in Brazil. The crystal became inexpensive and very popular. 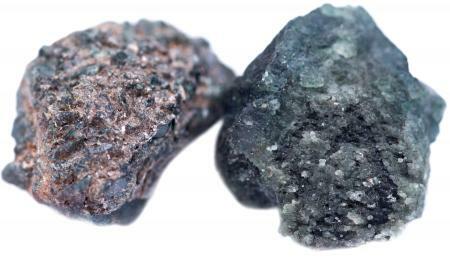 Alexandrite is believed to have healing properties and to enhance creativity and mental abilities. Place Alexandrite in the center of your home for overall good luck. When set in the south sector, this crystal attracts recognition and fame luck. Alexandrite jewelry enhances personal attributes and creativity luck. Amethyst is a popular crystal. A cluster or geode makes a stunning choice for a display. The deeper the purple, the more powerful and more expensive it is. Amethyst can activate good luck and turn the tide of bad luck. 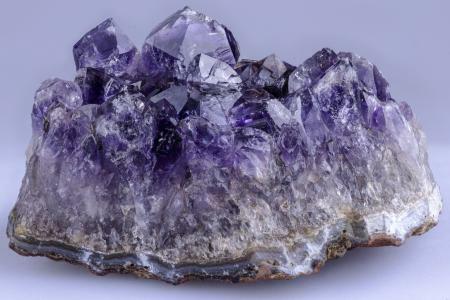 Place a polished, carved or cluster amethyst in your meditation room to gain spiritual luck to achieve enlightenment. 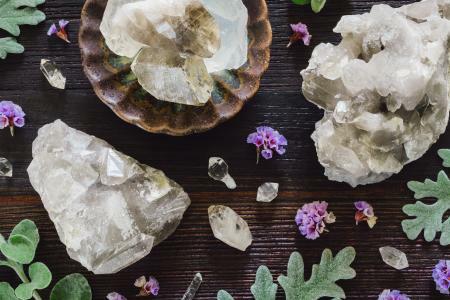 Set a crystal in the southeast sector of your home to attract wealth luck. Use amethyst to support health luck by placing it in the east sector. Increase education luck by setting in the northeast sector (earth element sector). Place an amethyst globe on a study desk (northeast corner) for outstanding scholastic luck. Add a carved amethyst heart shape, or a heart engraved with the double happiness symbol to the southwest sector (love and relationship luck) of the home or southwest corner in the bedroom. You can also wear amethyst jewelry to activate personal all-around luck. 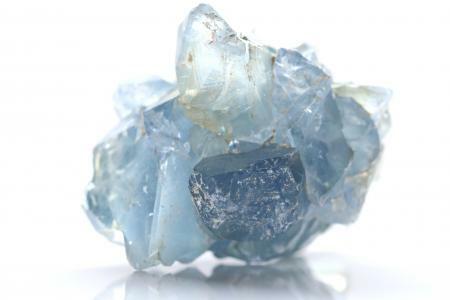 Celestine crystals have a very angelic appeal with a pale or powdery sky-blue color. Also known as celestite, this crystal has healing properties and is the crystal used to open the lines of communication with heaven. Many people believe this crystal connects them with spirits, angels, and God. There are two sectors that this crystal serves best although you can use it to activate angelic assistance in any luck sector. For health luck, place the crystal in the east sector. To open communications with the celestial realm, place the crystal in the mentor luck sector (northwest). Citrine is known as the stone of wealth. This crystal brings neverending wealth luck. The colors range from brown or orange to yellow hues. This secret to its power is the ability to transform negative chi energy into positive beneficial chi energy. Since this crystal doesn't absorb negative energy, but transmutes it, it never needs cleaning. 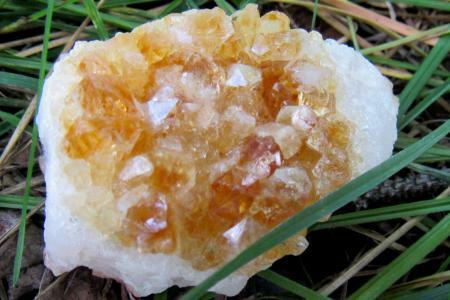 Citrine will enhance any luck sector and is especially beneficial to any afflicted sector. Place this crystal in the wealth sector (wealth). Use this crystal in the health luck sector (east). Pair with a clear crystal quartz to give a mega boost to the luck sector. This crystal will serve your children when placed in the descendant's luck sector (west). Wear citrine jewelry or carry a crystal in your purse or pocket to enhance wealth and health luck. Clear quartz crystals are considered very strong energy points. They are commonly used in clocks and various electronic equipment. You can place a quartz crystal in groupings with other crystals to boost individual properties and powers. Crystals are earth elements and should never be placed in the north sector (water element). This would create a destructive cycle in the north from a clash of earth and water elements. Clear quartz crystals are very popular for their versatile uses. Boost mentor luck by placing this crystal in the northwest sector. Place a clear quartz crystal point in the northeast sector or on a study desk for education luck. Generate health luck by wearing this crystal or placing it in the health luck sector (east). Place a crystal ball in the southeast corner of your work desk to activate wealth luck associated with your career/job. It's believed that clear quartz can be programmed for specific tasks, desires, or ideals. To program a crystal, you'll need to hold it while stating or meditating on your intention. Once programmed, carry/wear the crystal or place in appropriate sector that matches your intent, such as southeast (wealth luck) or southwest (love/relationship luck). Fluorite is known as a protection crystal and diffuser of negative energies. The colors range from clear to purple, blue, yellow, green and even brown. Some specimens feature a rainbow of these colors. This crystal can be very beneficial to most feng shui luck sectors. 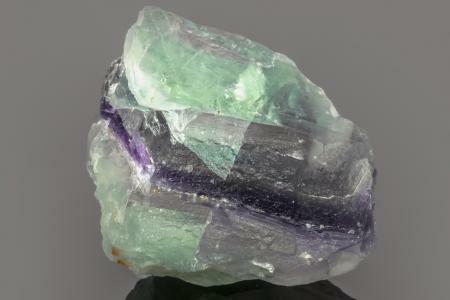 A green fluorite crystal can be very effective in the east (green) to enhance health luck. Place a purple fluorite in the south sector for recognition and fame luck. Use this crystal in the southwest sector or southwest corner of the bedroom to activate love and relationship luck. In feng shui, rose quartz is the choice for love energy, especially romantic love. Feng shui practitioners advise using this crystal to enhance any love relationship. If you're seeking a life mate, this is your go-to crystal. If you need to mend a broken heart, or a broken marriage, rose quartz is the love healing crystal. It's believed that rose quartz emits a specific energy that attracts love. This wonderful crystal is often cut in the shape of a heart, but you can use raw rose quartz, crystal point or tumbled quartz. 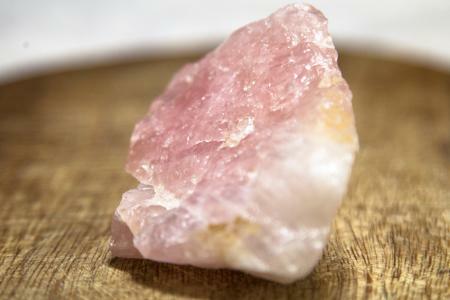 Place a rose quartz in the southwest sector of your home or the southwest corner of your bedroom for romantic love luck. Use a pair of rose quartz hearts to improve a marriage, maintain a happy marriage or invite a romantic love relationship into your life (southwest). Fill a tray, vase, apothecary jar or bowl with various rose quartz crystals. These can be raw, polished and/or shaped. Carry a rose quartz in your purse to attract love luck. Select a rose quartz key fob for your keyring. Choose a rose quartz pendant or ring to keep this love energy close to you. This quartz crystal is gray but slightly translucent. This gray ranges from light to very dark, even black. The smoky quartz has grounding properties that attract the luck of stability and influence. 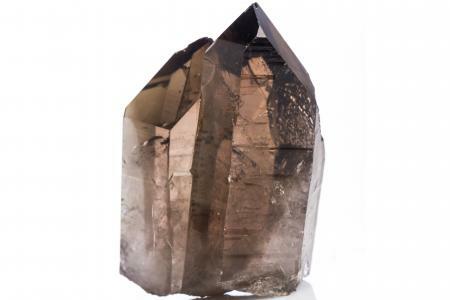 The smoky quartz crystal brings abundance and prosperity luck. Place a smoky quartz crystal on the northern corner of your desk for business luck. Students desiring educational luck should place smoky quartz in the northeast area of a study desk or northeast sector in the study area. Carry this crystal in your purse/pocket. Wear smoky quartz jewelry for creativity luck and career luck. Most crystals are also available in orb shapes. These come in varying sizes. You can create a grouping of crystal balls for amazing abundance luck in wealth, health, career success and other areas of life. 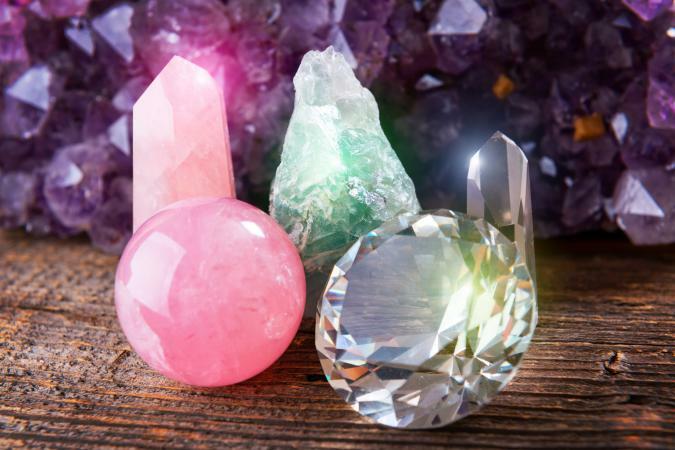 These can be different crystals, such as a clear quartz, rose quartz, amethyst, etc. Lillian Too advises placing six crystal balls in the main area of your home, such as the center sector or the living room to enhance the family's overall luck. Set a grouping of six crystal balls on your desk to bring overall career luck. Place the grouping in the upper righthand corner of your desk. You can place crystals in appropriate luck sectors to enhance or activate auspicious chi energies. Portable crystals, such as keyrings, charms or jewelry can be used to attract good luck in all areas of your life.